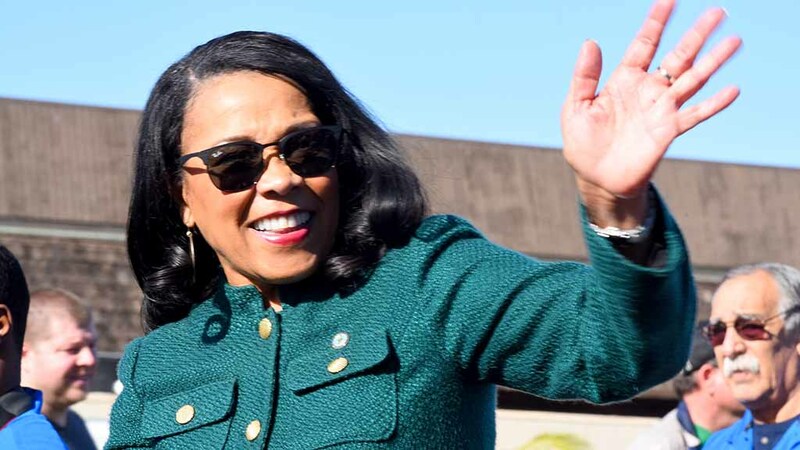 Myrtle Cole will serve a second year as president of the San Diego City Council after her colleagues voted overwhelmingly Monday to keep her in the key leadership post. Council members voted 8-1 in favor of Cole after she received strong support from organized labor representatives during the public comment period. Leaders of the San Diego-Imperial Counties Labor Council, Building & Trades Construction Council, International Brotherhood of Electrical Workers, Alliance San Diego and Unite Here, which represents hotel workers, also spoke on Cole’s behalf. As council president, Cole’s primary power is deciding which items make it onto meeting agendas. “My colleagues, I just want to move this city forward, with the homelessness issue, with affordable housing,” Cole said, referring to the city’s top, and related, issues. She said the city has to start building more residential units. The council president also has the power to determine assignments for council committees. The lone vote against Cole was cast by Councilman Scott Sherman, who tried unsuccessfully to get her to commit to keeping the rosters of the committees the same as this year. She said the committee assignments would be brought before the council next week.